With web-series being one of the most tapped markets of late, many filmmakers and producers are eyeing on innovative content that will focus on it. Now, Nikkhil Advani wants to explore one of the rarest markets for the Indian digital series, Moghuls. 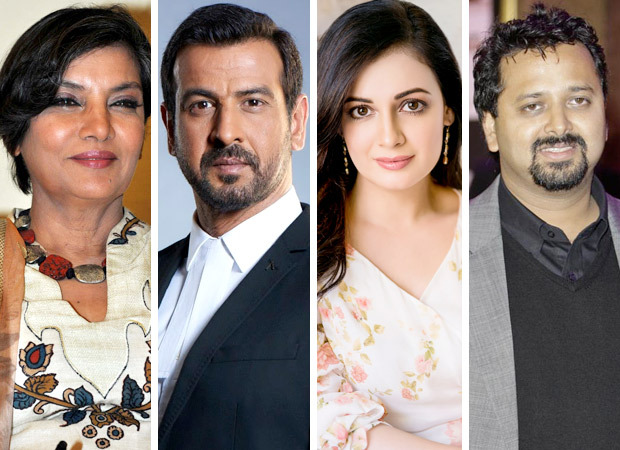 While the show is an adaptation of a novel Empire Of The Moghul written by Alex Rutherfood, the historical and fictional tale of the Babur to Aurangzeb rule, will be presented on the web with a cast of Shabana Azmi, Ronit Roy and Dia Mirza, leading the pack. Moghuls will trace the journey of Babur as a king which is essayed by Ronit Roy. Well, for the ones who have keen interest in history, Babur was crowned as the king at the tender age of 12 after the death of his father Umar Sheikh died. The grandmother of Babur, Esan Daulat will be played by Shabana Azmi. While a lot is known about Babur in history textbooks, the series will showcase the powerful people around them who helped become the ruler that he was. Esan Daulat or rather the grandmother of Babur was supposed to be a powerful and feisty lady who has stood by his legal heir. She decided to take the decision of crowning a teenager as the king despite the major consequences that would follow. Dia Mirza, on the other hand, is expected to play the role of Babur’s sister Khanzada. Speaking on her role in recent reports, Dia revealed that although her character didn’t get much prominence in general history textbooks, there is quite a bit of mention about Khanzada in the Baburnama and Humayun’s memoirs. Furthermore, she also stated that she is more than happy to play this role of a loved, respected and powerful lady. Nikkhil Advani, who too is glad about the way the project is shaping up, confessed in reports about his keen interest in the Mughal era and how they came into power. The director-producer mentioned that he immediately took up the project when they came in with the idea of making a show on the said era to him. The filmmaker also maintained that they have completed a schedule in Jaipur and has now moved to Karjat to continue the shoot. After this, Nikkhil is expected to take up Batla House with John Abraham and will resume working on the series once again in February next year.